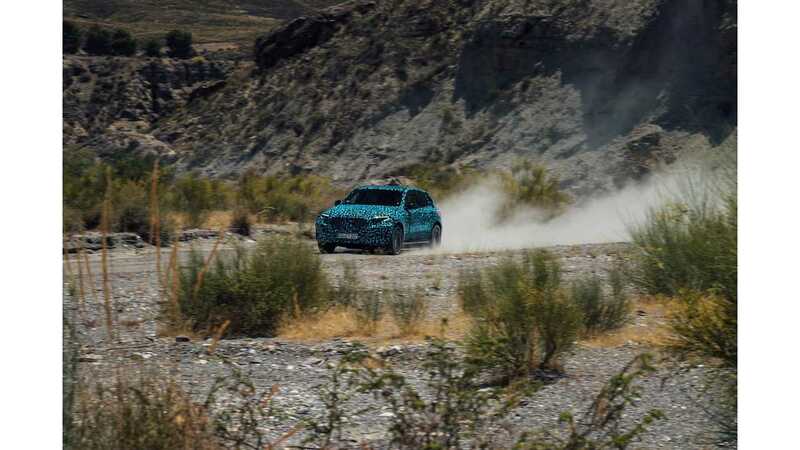 The prototypes of the upcoming Mercedes-Benz EQC all-electric SUV are in Spain on holidays deadly hot tests in the burning summer heat with temperatures of up to 50° Celsius. Mercedes-Benz built a fleet of almost 200 prototypes and has performed all kinds of tests, from winter tests, through general road tests and now onto summer tests. driving dynamics and ride comfort are also subjected to further, stringent tests and more. Interesting is of course the part aon batteries, which can be damaged at high temperature. "For example: how does it cope with high power requirements? How does an almost fully charged battery respond to further charging? What influence does the heat have on operating range? Battery draining tests, i.e. test drives in which the battery is completely drained of power, are also part of the test programme." 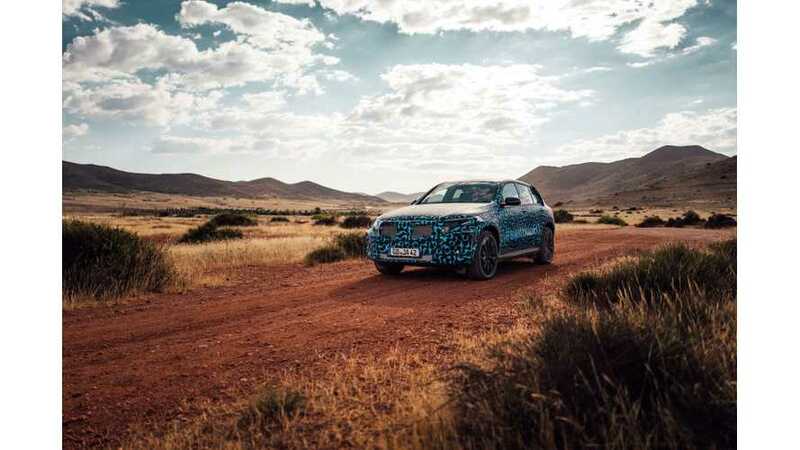 "With the finishing straight in sight, we are now able to absolve another extremely demanding test programme with our pre-series vehicles," says Michael Kelz, Chief Engineer for the EQC. "But after successfully completed endurance tests in winter at minus 35 degrees C, we are confident that the heat trials will confirm that we are well on schedule for the start of series production." Challenge number one is this: the dry heat. Because while the battery of an electric car "merely" loses power in the cold, exposure to great heat carries the risk of battery damage. Optimum management of these physical characteristics is the aim of the extreme tests in Spain. One main focus is on the battery's cooling circuit, for example: how does it cope with high power requirements? How does an almost fully charged battery respond to further charging? What influence does the heat have on operating range? Battery draining tests, i.e. test drives in which the battery is completely drained of power, are also part of the test programme. Another aspect is air conditioning of the interior – both during a journey and beforehand, as pre-climatisation is an important comfort factor. This is when questions such as "Is the indicated time sufficient for pre-climatisation?" and "Is the calculated range correct when the temperature is taken into consideration?" are answered. Furthermore, the noise characteristics of individual components such as the air conditioning compressor in the heat are specifically examined. Fine dust is also a particular challenge during the trials in Spain, as the test technicians want to know where this dust might be deposited in the components, and whether the sealing concept works in practice. Different countries present different circumstances, a truism that plays a very important part in the Mercedes-Benz test programme. The key question is this: is the international operability of each individual system assured? A few examples: Are the slightly differently designed traffic signs recognised? Are toll stations reliably recognised? Are speed limits correctly detected by the camera of the assistance systems? All of these questions are also examined by the developers during their busy test weeks in Spain. Systematic complete-vehicle validation is among the extensive measures in the development process of every Mercedes-Benz model series. This serves to verify the high quality standards. Before a new product goes into production, the complete vehicle must reach a maturity level set by Mercedes-Benz. This takes place in several stages: step one is digital preliminary design and simulation. It is followed by validation – either of individual components on dynamometers or in test vehicles. This tests and validates, for example, the durability of a powertrain connection or of individual axle parts. Totally digital: Digital testing covers all key areas of vehicle development: from the simulation and verification of buildability to crash, aerodynamic, ride & handling), NVH (Noise, Vibration, Harshness) and weight tests plus fuel consumption and operating range. From computer screen to dynamometer and onto the road: Despite all the advantages of digital testing in terms of speed, data availability and efficiency – no vehicle goes into series production without extensive real-world testing. The focus is on the long-term durability of components such as major assemblies on the dynamometer, and functional testing of the complete vehicle under different climatic conditions on the roads. In the case of the EQC, of course, special attention is paid to the electric powertrain and the battery. They too are tested and approved in accordance with Mercedes-Benz's extremely strict standards. One third/two thirds: With a ratio of 35% to 65% between digital testing and real-world testing, Mercedes-Benz combines the best of both worlds in the interests of its legendary, high quality standards. Everything a question of proportion: A special role is also played by the acoustics of an electric car: unlike in a combustion-engined car, there is hardly a sound from the powertrain. This makes sounds such as the rolling of the tyres or wind noise more prominent. Where these requirements are concerned, the engineers benefit from their long experience in NVH testing. Almost 200: This is how many prototypes and pre-series vehicles are built for the test programme. Around four years: in the case of the EQC, the overall development time is around four years. Three winters and three summers: Over three winters and three summers, the EQC is subjected to extreme conditions from minus 35° to plus 50° Celsius.